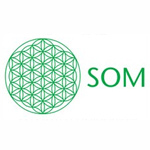 SOM is a team of professionals and academics operating in different fields of the social sciences and humanities. SOM has a simple philosophy: bringing together relevant people for community involvement projects. SOM is a young, dynamic and innovative company offering a problem-solving approach. SOM is open to fruitful partnerships and works in close contact with different organizations and individuals in Turkey and in the world. 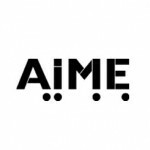 A.I.M.E. is a multi-disciplinary artistic organization bringing people who have different points of view and approaches together : dancers, research workers , somatic practitioners. A.I.M.E. develops different activities such as choreographic creations, training, somatic practices and works for the transmission of the dance and somatics knowledges in several society spaces: culture, education, wold of care or social work. Çatı was founded to support and encourage creative efforts within the field of contemporary dance in Turkey. 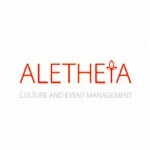 Alethea was founded 2009 in Tbilisi. Its activities are based on working in arts and culture in its wide sense, education and cultural exchange. The organization operates not only in Georgia, but also in South Caucasus, Central and South-Eastern Europe. It aims to support cultural exchange and dialogue between Georgia and other countries and bring innovation through cultural programs. Anadolu University which is based in Eskisehir was founded in 1958 and currently has 24.000 students. The project’s partner, Anadolu University’s Faculty of Communication Sciences was established in 1972. The faculty will contribute to the documentation of the project and production of the making-of. Web Designed by Bilçağ A.Ş.